nTracks | Your #1 source for royalty free music! Hello all, if you are looking for a new music library that can provide any type of sound for your next project, look no further. Narrator Tracks is your solution. Our music library was created for professional and non-professional audio and video producers who need music that works with narration. We offer longer themes, steady tempos, and moderated dynamics making our music designed to work WITH the voice copy in your presentation – not AGAINST it. And we use real instruments giving your productions even more emotional impact. We also provide a free download of the month, so make sure to check that out here (http://www.ntracks.com/pages/free-download-of-the-month-pv-c0-5.html). This month’s free download is Passion Play – Romantic Solo Piano.. Don’t miss out, and make sure to also check us out on Twitter, Facebook, and LinkedIn, and also at ntracks.com. According to a recent piece of research done by Videolink and Tubular Labs, it is claimed that music videos account for 38.4% of all views on YouTube, showing that they are atop as the world’s biggest streaming music service. At the Midem music industry show in Cannes recently, the VP of YouTube stated that over the past several years, the company has paid out to the music industry over a billion dollars. Some though, are still not convinced that YouTube, the Google subsidiary, should be involved in the music industry because of the high piracy rates and other factors, like payouts. Many question that if YouTube is so committed to the music industry, then why do they not pay out more to labels and publishers? They have billions of music video views and still only pay a small portion of money compared to the amount of viewership they get. Streaming services are also fueling the fire, stating that some pay between $6,000-$8,000 per million streams, and YouTube only pays $3,000 per million video streams, which does not seem right. Although there are many foe’s, YouTube does have some defenders as well. It is a top five revenue source now at many labels and is going up. It is also a great channel to use for copyright holders to come up with clever ways of putting out their content. The viral success of Baauer’s Harlem Shake track is a great example of this. The video was put out with the track and from that track, thousands of videos were made with the music, allowing Baauer to capitalize on royalties. I believe that YouTube is on the right track when it comes to music, but they need to adjust a few things and make the payout to the music industry more substantial if they are really “all-in” when it comes to music. Recently, I read an article talking about royalty collection companies and that they are almost crossing the line when collecting royalties. Of course all artists should get paid when they get their music played, but collection companies are trying to collect on many things that artists have already been compensated for, like ringtones and trying to make fans pay for a performance fee just to listen to the radio. It seems like they are being so strict, to try and make up for their own financial downfalls rather than trying to do good for the artist and get them their dues. Most general music fans also do not know that the artist has very little to do with how royalties are collected, so in some cases, the fan may be thinking that the artist is being greedy, when in reality it is the collection company. Royalties for internet play is also another issue within the music industry. Besides SoundExchange, who sets the standards for how much an artist should get paid when listened to online? Should labels be able to pull music from sites such as YouTube, without the artist approval? With the rise of a digital era, we need to figure out a solid game plan for compensation and licensing on sites that host and promote tunes. Collection companies must also change the way they collect royalties so they do not deter anyone from listening to the artist they are collecting for. 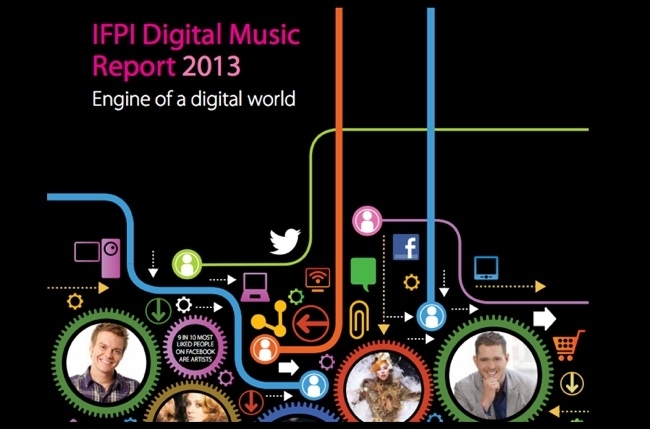 The IFPI Digital Music Report 2013 explains how recorded music is working to drive today’s digital economy. It also highlights the new ways consumers can access and experience music. The music industry has been able to globally expand thanks to the new technologies and services available. Emerging into the market are subscription services, which allow users to either stream, download, or burn music for a set fee for a set period of time. Digital music sales have actually increased along with the spike in on-demand streaming & subscription music users, contrary to other people’s beliefs. 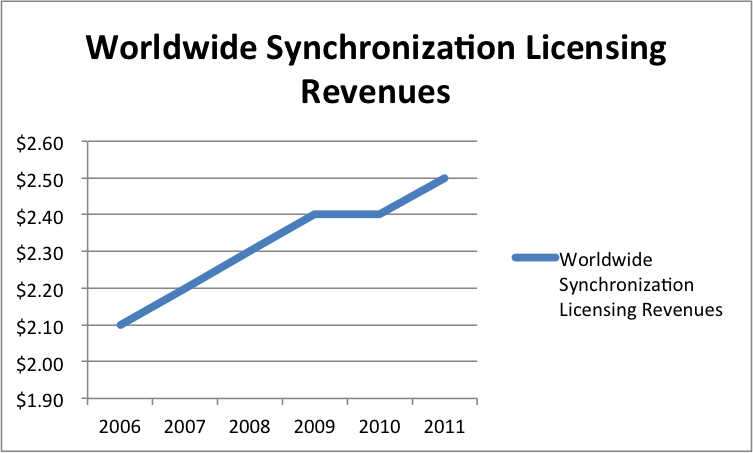 This helped fuel a 0.3% rise in global recorded music revenues in 2012. This may seem like a small number, but 2012 was the first year of industry growth since 1999. At least 8 of the top 20 global music markets are expected to see growth, including Australia, Brazil, Canada, Japan, Mexico, Norway & Sweden. Globalization is opening up new markets as well! As an industry, we have changed our business models to meet the digital age. Expanding globally into the music market is just another reason to be optimistic about the economical future of businesses, small and large. The digital environment has allowed very special opportunities for online businesses. The Internet & wireless technologies give music a chance to take a different direction by their ability to internationally distribute the productions for instant hearing or storage. The web is the vehicle that makes Narrator Tracks’ products & services possible. The music marketplace is extremely competitive & being able to tap into the international market really levels the playing field. We recently received a Royalty Payment Statement & thought it would be fun to examine where our music has been! Unlike radio & TV, Internet music services are not as accustomed to supplying specific music-use data for BMI records. Nonetheless, it is important to know where your music is used. International performances of Narrator Tracks‘ music were summarized into 3 groups: Film, Television & Various. Check out the global locations! BMI monitors major performances of affiliate material on radio, television & cinema in countries around the world. Other categories such as Digital, Live & General are logged by societies within the country. Although we are unsure about the specific details for most international projects/productions/videos, Narrator Tracks is humbled to know that one of our “World Music” pieces was featured in the American movie, The Bucket List. Our global growth was somewhat of a catalyst to the production of new types of sounds, styles & genres. After researching musical styles from around the globe, we began the production of authentic-sounding tracks. One of our Middle Eastern style tracks found its way into the blockbuster film! The changes within the music industry and technology have a symbiotic relationship. The connection and access a small business – or any business – can make with an audience is exponential. Your product or service can become more versatile because the means to which it is delivered is constantly evolving. 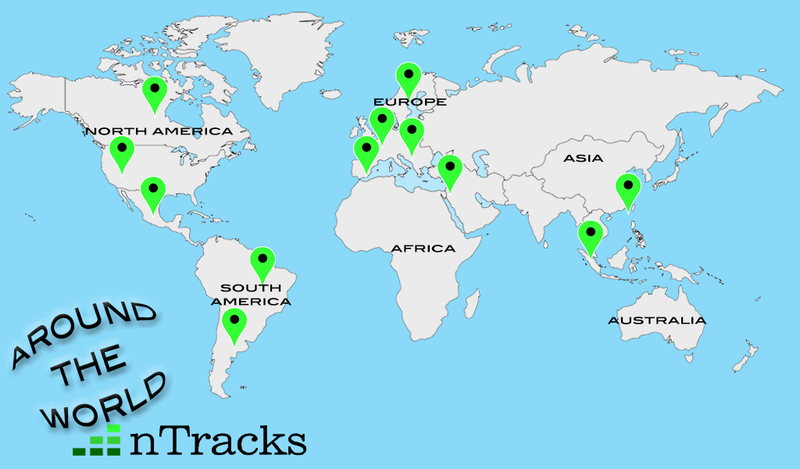 nTracks would love to hear where your music and productions have been used! Comment and share your experiences in the U.S. and international market. Are you affiliated with ASCAP, BMI, or SESAC? Share your knowledge and experience about the different societies in the music industry. Every month, Narrator Tracks offers a “Free Download of the Month” – a track featured on one of our many CDs. This month’s free download is X-Treme Sports II and it is featured on the Sports Theme CD. X-Treme Sports II is perfect for a sports-themed or action video. Our June video uses the track to highlight America’s favorite past-time, baseball! Look on as images of victory, athletes, fans and ballpark memories transition before your eyes. Producing a video for YouTube, a company training seminar, or what have you, can be heightened with audio from Narrator Tracks Music. Our extensive royalty-free library is full of various styles and genres. Creating a visual element for your business or personal endeavors strengthens resignation and engagement with others. If you are new to video-production, there are great pieces of software out there to help you step-by-step. Enjoy the nTracks June video and visit our YouTube channel to view our video archive. Thanks!